Laboware is presenting the product best in quality, Well finished a set of six solid cubes of different materials such as aluminium, brass, copper, iron , zinc nad lead. These are used for measurement of density and specific gravity. Custom made sizes and materials also available including non metal materials like wood, plastic, etc. Also available with hook. With our expertise and trustworthiness, we are engaged in offering an optimum quality range of Aluminium Cubes. - These cubes are resistant to corrosive agents and are used by various industries (like Engineering, Marine, Automobile and Aviation Industries) for variety of processes. 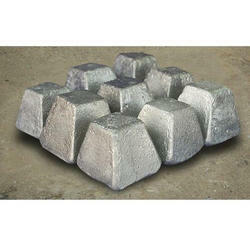 We are a reliable manufacturer of Aluminum Cubes that have high purity levels. These Aluminum Cubes are used as De-Oxidant agents in Steel Industries. Our products are checked and tested on laboratory by quality analysts to ensure their purity and composition. Our company has achieved widespread recognition in providing Aluminum Cube. 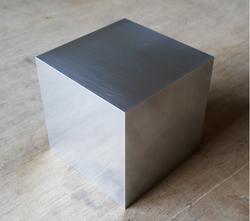 Our extensive range of Aluminum Cubes is manufactured using premium grade raw material. The range is widely acknowledged to be of superior quality, durability and reliability. Each batch passes through a strict quality control process and chemical analysis before being dispatched. We are the manufacture of Aluminium Cubes. Size 100 to 250 gms. - Jumbo Bag Packing of 1MT , 1.5 MT , 2 MT etc. - Packing of 5 kg , 20 kg can be provided. We strictly adhere to the Quality norms specified.